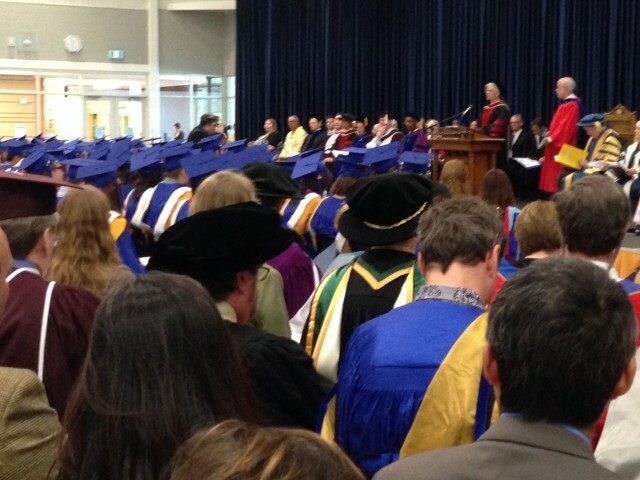 Hundreds of students graduated today, May 30,2014 at Brandon University. Two of the four graduates of a Master of Rural Development have recently contributed to projects and activities at RDI – Immaculate Nabisere and Matt Grills. Matt is now pursuing a PhD in rural studies. The other two graduates with a Masters are Derrick Turner and Brandon’s Chief of Police, Ian Grant (awarded the Governor General’s and Brandon University’s Gold Medals). All four graduates will continue to bring rural insight to their work, careers, and relationships. No doubt with bias, I suggest that rural is better off with four more voices equipped to express views and bring an understanding of rural into discussions and policy and life. Congratulation to all graduates, those at Brandon University and other institutions across Canada.